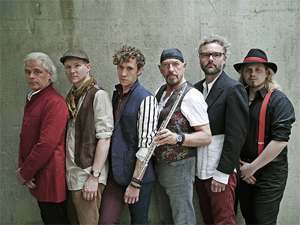 Ian Anderson is best known as the frontman, singer-songwriter, musician, flute player, engineer, producer, and whatever other duties he will tell you regarding the legendary band, Jethro Tull. With more than four decades of performing under his belt, the last decade has seen him step out on his own projects. Distinctly Anderson, the music slides to the more melodic avenues in discovering instrumental nuances to dally with. His own touring group consisting of bassist David Goodier, keyboardist John O’Hara, drummer Scott Hammond, and wunderkind guitarist Florian Opahle have performed with Ian on his solo dates, as well as having performed at various times as members of Jethro Tull. They all participated on the recent release, “Thick As A Brick 2,” an update companion to the original 1972 release which answers the question,” What ever happened to Gerald Bostock,” TAAB’s supposed writer. Audiences got to find out firsthand last year, as the original TAAB was performed in its entirety for the first time since 1972 including the weather report and prostate awareness skits, that bookend with TAAB2. The 2013 tour extends the fun stateside through the month of July, concluding with a performance at the Highland Park (IL)’s Ravinia Festival (www.ravinia.org) on the 22nd. British singer Ryan O’Donnell, who has been active in the UK theatrical scene, was added to sing difficult vocal parts. Anderson wants to perform vocals and instrument parts as they appeared on the original THICK AS A BRICK. A phone interview, conducted with Anderson, touched on the tour itself, the TAAB sequel, and what’s on his plate for future endeavors. What follows is an edited transcript of the conversation. Maximum Ink: We last spoke three years ago, and I must update the more serious inquiries… what is your favorite color, and if you could be any tree, what would you be? Ian Anderson: Still gray, a nice battleship gray. As for tree, still an oak. They’re slow growing, slow to mature, a bit grand,, solid and decorative. Plus, they are quite useful, if you want to build a ship, sail around, and attack a small country far away, or something like that. MI: What made you want to re-visit TAAB, and tour in a complete 1972 presentation of the piece? Anderson: Well. It was a bit of unfinished business, really. Back when we did the original TAAB tour in 1972, it was okay in the U.K., but when we got to America, due to the wishes of our manager, we got pushed into large arenas rather than small theaters so we found it kind of rough going. Audiences would see the name “Jethro Tull” on the ticket, nothing else…come concert time, they thought they would hear “Aqualung” (songs) and hard rock, instead they got me walking out with an acoustic guitar saying, “I really don’t mind if you sit this one out.’ Some fans were pissed off, the whistling, and such. I ended the year very dispirited. Now, 37 some years later, I toyed with the idea of doing it all again, this time doing theater shows rather than large-scale arenas, and tailor it a bit more to the smaller venues…make it more interesting. Following on that thought, came the idea of doing a sequel, answering the question of whatever became of Gerald Bostock (the fictional author of the original TAAB). . Even now, when the tour comes to the states in July, it’s mostly indoor theaters because we use film projections and specific lighting…outdoor arenas have to be dark outside, and that means possibly pushing curfews. There are very few places such as Wolf Trap, for example, and Ravinia, where outdoor sites are not only pleasant but can accommodate those elements of the production. MI: What about your touring band recreating the parts on stage? IA: Well, you could argue that it’s really the same band (as Tull), apart from Martin Barre, who wasn’t the first guitarist, there was Mick Abrahms, and Florian (Opahle) has played on a number of Jethro Tull concerts in the last decade…when Martin was unwell, or didn’t want to do a particular tour, so all of these guys have done their stints as Tull, and are part of that band, really. If there’s a specific project that I’m doing, I’d rather not just use the band name, as it suggests the best (hits) of that band. It’s fine if that’s what you’re doing. MI: What about the continuation and status of the Jethro Tull, as a band? MI: What projects are coming for Ian Anderson, after the TAAB tour? IA: Well, I wrote a new studio album project in January, of this year, refined it a bit in February, and have to send demos to the guys in the band, and then, see who turns up for work over Christmas, when we start recording, and the plan is to start touring around Easter 2014, eventually coming to the United States, and it will be showcasing that new material. MI: Are there any archival releases of Jethro Tull performances planned for the near future? And there’s also the studio album of, what we refer to, as the “Chateu D’Isaster” tapes, from 1973 (the tapes were recorded as a follow-up to TAAB, but sessions fell apart with poor studio conditions, and eventual food poisoning contracted by band members). That is being remixed and remastered…but first in the pipeline, is the big DVD compilation and box sets. So, there’s all that stuff. Somewhere along the way, there’s a string quartet album that I want to do, of variations on some classic Jethro Tull songs. Hopefully, that will be achieved, and really that takes us through to 2015, so you’ll have to ask me again, in that period of time..
MI: That’s a very ambitious slate, and all the best wishes to you? IA: Well, in 2015, I’ll be 68…we’ll see.